If you wanna try this yourself.. Be careful!! The glass is really sharp and you’re dealing with power..
First you have to break the glass of the bulb.. It is recommended to break / manipulate the light bulb in a freeze bag or another plastic bag, because there are a lot of sharp little shards..
One can use a drill to create a small hole on the top (or wherever you want) of the bulb.. The duration of the burn is depending on the size of the hole.. A small hole will result in a long burn.. If you completely break the glass, the duration of the burn will be below one second, but the smoke formation will be more intense..
Those were shot with a short exposure, large aperture and without flash.. 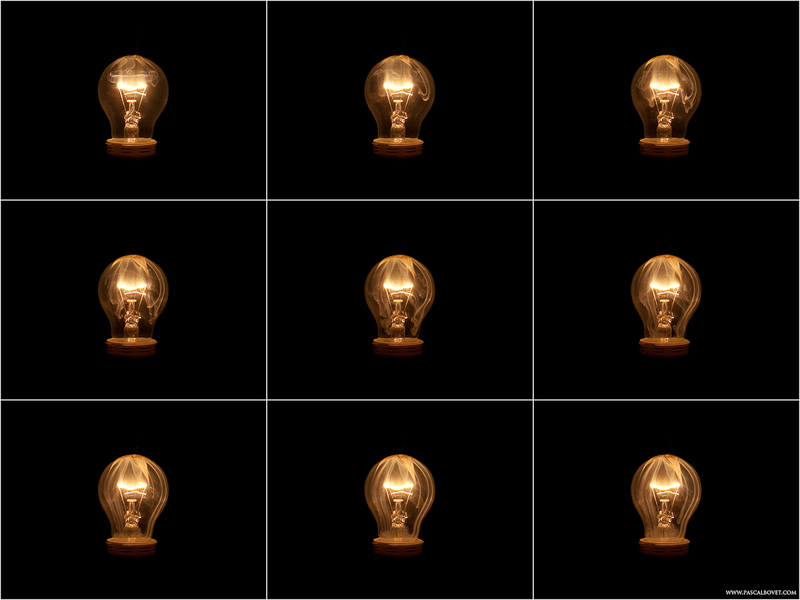 The bulb was manipulated with a dril, the burn out duration is longer and therefore you get more shots.. The images were taken in a row (with 1/500s exposure and without additional light sources).. This is no fake or post processing trick.. The bulb and the smoke were really captured in a singles shot..
On that one I used bulb mode (longer exposure as above), smaller aperture to compensate the longer exposure and a flash to freeze the smoke..
On the second image I had to recolorized the smoke as I had a green “lens flare” on the bottom of the smoke.. But I tried to get as close to the original color as possible.. If you have any questions or more information, please let me know.. Appreciate any comments and criticism.. This entry was posted in Experimental, Howto. Bookmark the permalink. Very inventive. Thanks for the tutorial. Thanks for the tutorial. Much appreciated!